A collection of my tutorials. This tutorial aims to give you a better understanding over what Photoshop can do, how it is structured and how to use it. We will focus on the functionality that you will most likely use the most, especially if you use PS for drawing and editing artwork. And some more blend modes! That's it for this tutorial! 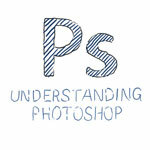 Hopefully you have gained a better understanding of how Photoshop ticks. Now go out and 'shop!